Nepal is a landlocked central Himalayan country in South Asia. With a population of 26.4 million people. It is the largest sovereign Himalayan state. Nepal is the humbling chance to transcend above worldly woes and immerse yourself in awe-inspiring mountain treks and breath-taking monasteries. Popular attractions include Pashupatinah Temple in Kathmandu and Annapurna in the Gandaki Zone. Cheap flights to Nepal are now available for a limited period of time, so prepare for an uplifting journey through this spiritually rewarding country. Kathmandu is home to Tribhuvan International Airport (KTM), which is located 15 minutes from the city centre. The culture in Kathmandu is a pulsating ambience which combines religion and colourful festivals. Many people choose to go for the spiritual journey that Nepal serves to offer in its humble yet enchanting aesthetic. Nepal’s economy is largely dependent on tourist revenue from mountaineering permits. It is not surprising with the highest mountain, Everest, attracting adventure seekers from around the globe. For amateur climbers, Nepal boasts several mountains which can be conquered by avid hikers. The best time to visit Nepal, if you are going to trek, is between the months of October and November (autumn). The country welcomes gracious clear skies, amazing views and fresh air. Visit the Chitwan National Park near Bharatpur during this time as it is easier to spot rhinoceros, monkeys and elephants. The monsoon season (June to August) sees temperatures reach up to 30 degrees Celsius, with extremely wet and high humidity filled days. Tourists are advised against trekking the mountains during the monsoon season, although sightseeing throughout the cities are encouraged as the bustle of peak season is avoided. For cheap flights to Nepal visit during its low season (December to February). Tourists can still experience great mountain views during these winter months, but higher trekking routes such as the Annapurna Circuit may be closed. Visit the Terai region where you will encounter green and lush lands. Lumbi is Buddha’s birthplace and an important pilgrimage site. Lumbini is located in Western Terai. If you’re seeking a spiritual awakening, Nepal is the ideal destination to journey to. Its ambience inspires you to let go of worldly woes and to embrace the simplicity which life has to offer. This humble destination and its people warmly welcome you. Nepal is known for having the world’s tallest mountains including the awe-inspiring Mount Everest. 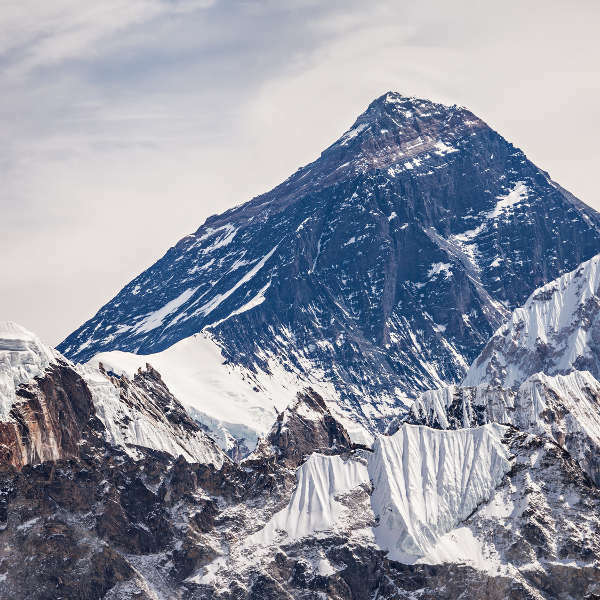 Many thrill seekers and those who wish to test the limits of the body aspires to summit this vast mountain as Mount Everest offers the most endearing trek. Kathmandu, the capital city of Nepal, is a vibrant city, a delight for your aural senses. There is so much history to be discovered in this bustling religious city. It is the gateway to the rest of Nepal. Kathmandu’s colourful cityscape enchants all who find themselves on their spiritual journey in this humbling atmosphere. 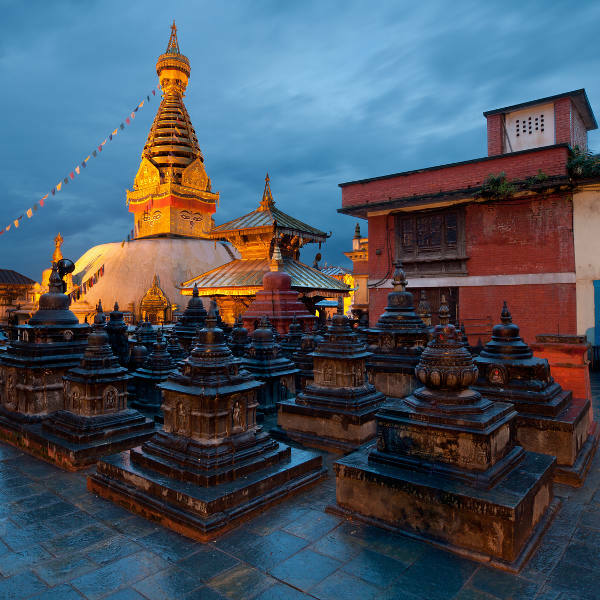 Powerful attractions include the Boudhanath stupa (the largest temple in Nepal) and Swayambhunath (Monkey Temple). Visit Pokhara, which is the gateway to the Himalayas, and the starting point for trekking the Annapurna region. Pokhara offers a variety of restaurants, hotels and shops for those looking to relax and unwind. Janakpur is the capital of an ancient state of a Hindu kingdom (Mithila), it is praised for its temples and ponds. 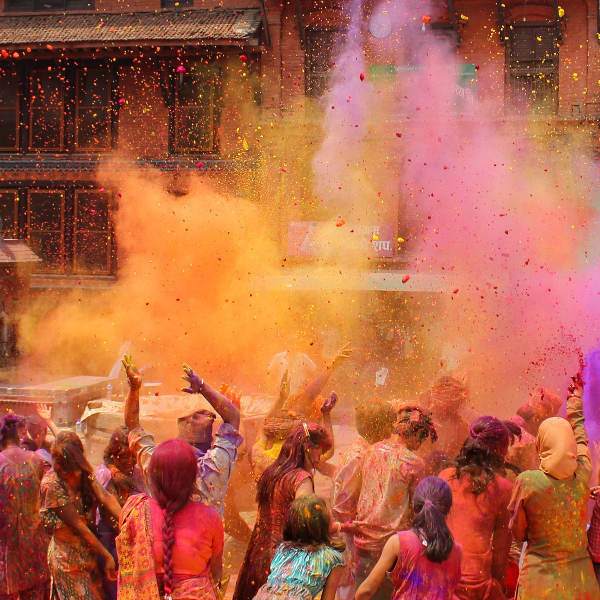 Encounter beautiful religious festivals such as Ram Navami, Holi, Deepawali and Chhat. Be sure to check out the village life of Janakpur, where Mithili art and culture is displayed. Compare several airlines and book your cheap flights to Nepal online at Travelstart! Before travelling to Nepal, tourists should be up-to-date on all routine vaccinations. These vaccines include measles-mumps-rubella (MMR), diphtheria-tetanus-pertussis, varicella (chickenpox), polio, and your yearly flu shot. Travellers are also encouraged to obtain vaccines for hepatitis A, hepatitis B, malaria, rabies, typhoid and yellow fever. It is safe to visit Nepal, in fact, it feels more safe than most countries around the globe. Its religious nature contributes to the feeling of being safe in its many cities. Experience the intrinsic kindness of the people, which reassures you of a pleasant journey through Nepal. The devastating earthquake that occurred in April 2015 killed approximately 9000 people and destroyed many homes. The impact of the earthquake can still be seen throughout Nepal’s infrastructure. It is advised to check beforehand whether it is possible to travel to your chosen destination. • Register with the South Africa embassy in Kathmandu. • Do not trek alone. • Be wary of altitude sickness symptoms and follow the guidelines for safe acclimatisation. • Always carry a copy of your passport or ID with you.